God’s people in Crafton Heights spent the Summer of 2013 talking with and listening to some of the members of the Christian Family whose stories and lives remind us about what it means to live faithfully. I called this series “Faces at the Reunion” because I believe that as our family claims its heritage and gets to know each other, we’ll be stronger for it. The last installment (at least for now) focused on Archbishop Oscar Romero of El Salvador. 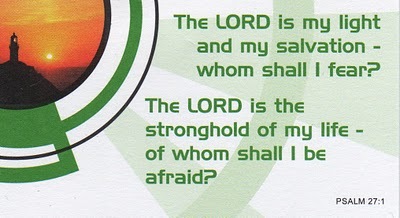 Our Scripture readings were Psalm 27 and Ephesians 6:10-20. When our daughter was a child, she was afraid of a lot of things. The dark. Noises outside the house. That the division-leading Pittsburgh Pirates would somehow become unhinged and have to endure 20 losing seasons. You know, irrational fears. And yet we wondered, how were we, as parents, going to be able to help calm those fears? 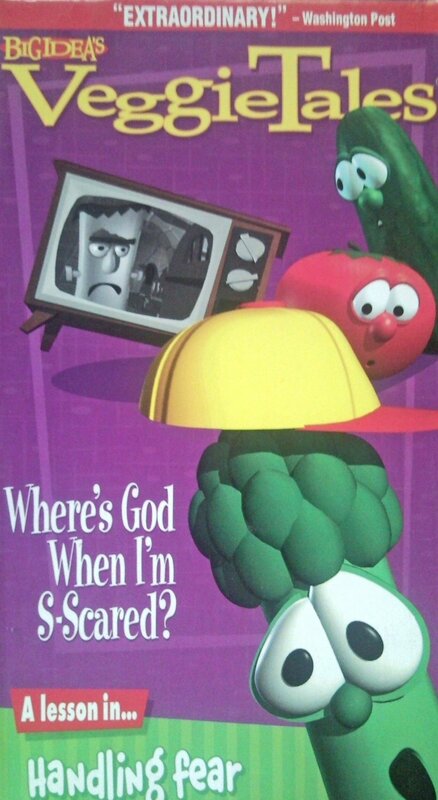 Fortunately for Sharon and me, in December of 1993 the folks at Big Idea released the first ever Veggie Tales episode, entitled “Where is God When I’m S-Scared?” That episode featured a catchy little ditty that assured young viewers that “God is bigger than the Boogeyman – He’s bigger than Godzilla or the monsters on TV…and he’s watching out for you and me!” What a gift that song was! I thought about that as a friend and I discussed how easy it is for grown-ups to dismiss childish fears. Kids are afraid of the vacuum cleaner, and monsters, and the dark. Ha! Isn’t that cute? Until you grow up and discover that you, yourself, seem to be in a vacuum. You’re alone, and facing a crumbling marriage or a mountain of debt. Monsters like illness or death or violence surround you, and the darkness of depression or unemployment or hopelessness envelops you unexpectedly. When you are in circumstances like that, singing “Silly Songs With Larry” the cucumber just isn’t going to cut it. Where is God when you are scared? I wanted to tell you that in 1977 Romero became Archbishop of the most densely populated nation in all of Central America. At that time, a wealthy elite comprising perhaps 2% of the population owned 60% of the land. I wanted to stand up here and thunder about social justice, and to remind you that God cares for the poor; I had hopes of preaching a powerful sermon that would invite you to a deeper participation in what God is doing with the people who are on the fringes. And had I preached that sermon, you wouldn’t have been surprised. You’ve heard that sermon, or one like it, before. Yet this week as I contemplated the witness of Romero, that sermon wouldn’t come. Instead, I sensed God’s leading to talk a little bit about fear. I resisted that for a couple of days, until it occurred to me that Oscar Romero is a great person to encourage us in times of fear. 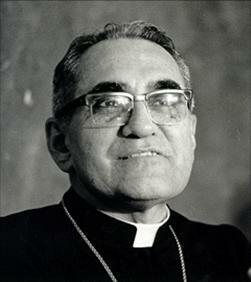 Romero was called to be the Archbishop, but he didn’t want the job. The Latin American church was torn between the Liberation theologians, who identified with the political left, and the conservative leaders, who embraced the status quo. Romero was a compromise candidate, described as a predictable, pious bookworm who could be counted on to criticize anyone who got too political. He didn’t want controversy – he wanted to be left alone. Yet three weeks after his installation, one of his best friends, Father Rutilio Grande, was attacked in a machine gun ambush that also claimed the lives of a peasant farmer and a young boy. Later that year, 200 Christians were massacred after watching Romero enter a church building. In the 1970’s and 80’s, it’s estimated that 75,000 Salvadorans were killed by the government, paramilitary groups, and guerrillas. 300,000 people were “disappeared”, a million fled the country, and another million were left homeless – in a nation with a population of only 5.5 million. Dead bodies clogged the streams, and torture victims were left at the dump every week. Do you think that every night when he lay down, Romero was scared? Of course – he had to be! The power of darkness is fierce! He was in the eye of a storm beyond his own making, one he was powerless to stop. What did Romero have? He had the truth. His years of study had revealed to him the simple truth that God’s intentions are not for poverty, enslavement, or repression. Romero lived the truth of Psalm 27 – as long as he looked to God as his light, he didn’t have to fear the darkness that surrounded him. Yes, he was scared. But yes, he was faithful. I will tell you the truth: when you are scared, God is where he has always been: on the side of justice; reaching, holding, calling, confronting, and doing a new thing. Beloved, when you are scared – look for the truth. My friend was struck with the ravages of Amyotrophic lateral sclerosis, also called Lou Gehrig’s disease. As her body betrayed her more every day, she was incapacitated with fear. Until she came to claim the truth of the resurrection of the body and the realization that the grace of Jesus Christ is stronger than even the most hellish of deaths. The darkness of fear left her in the light of that truth. Another friend called after her husband had left the family. He’d assured her that the affair was over and that they’d work things out, but then he just moved out. She was sure that the children would be ruined and that her life was over…and then she came to believe that maybe God loved her daughters even more than she did. She raised them to be strong and capable; to claim their gifts and to rely on the Source of their strength. That truth held that family, and those children, for two decades, and they now shape the world for other kids. My phone rang late at night. The voice at the other end said, “Well, I just thought you’d like to know. The police picked him up tonight. Said he was selling heroin to kids. They wanted to know if I wanted to try to bail him out, but I said, ‘No, let him stay. I need the sleep.’” And this parent faced the truth that his addict son needed more help than he could give, and embraced that truth, becoming an advocate for his son’s health. Today, that addict is a father, a grandfather, and a man of faith and hope. Paul wrote to his friends in Ephesus from a Roman jail cell, where he was awaiting his own execution. As he was giving them advice as to how to deal with the things that frightened and overwhelmed them, he seemed to say that sometimes, the best thing one can do is to simply “stand”. 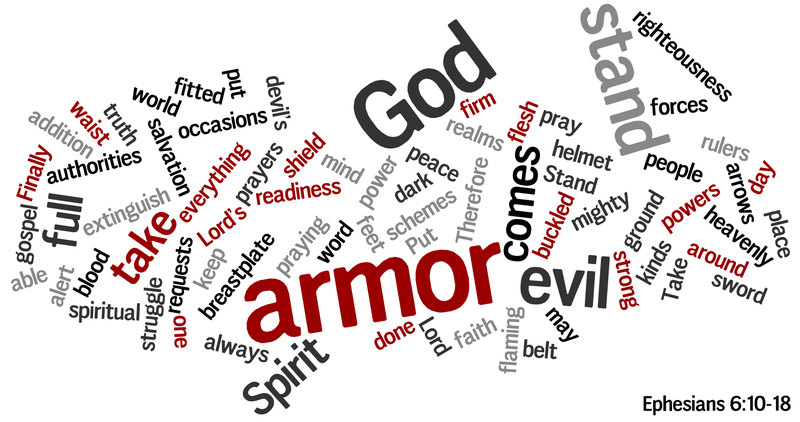 Four times in this passage, he says, “Yes, take this armor, but then stand there. Hang in there, holding on to truth. The struggle is fierce, but you are not defenseless.” And then notice that he did not ask those friends to pray for his release, or for a stay of execution. Instead, he asked them to pray that he be bold and courageous. Beloved, as you think about that question, “What scares you?”, know that I cannot stand here and tell you that no evil will befall you. It will. You have more funerals in your future. Marriages about which you care greatly will end. Jobs will change. Disease will come. Beloved, we need not fear the present nor the future, because God is already there. God is doing a great work, and we are privileged to be part of it – even when we can’t see the whole thing. Thanks be to God! Amen. Each week, I try to provide the folk at Crafton Heights with a little background material on the person before us. Here are the notes that were available on Romero. I would particularly commend the feature-length film, free on Youtube. During the summer of 2013, we will be looking at the Christian Faith through the eyes of some of the servants of God who have preceded us in this walk. These men and women left behind a witness that has formed us, whether we know it or not, and in our worship we will have a “family reunion” this summer as we engage in their stories and gain from their experience. In the middle of the 20th Century, the economy of El Salvador was increasingly manipulated so that the wealthy elite would benefit from the labors of the poor. For many years, the church (and the rest of the world) either turned a blind eye to this, or accepted it as the cost of maintaining a “friendly” government during the Cold War. In 1977, Oscar Romero assumed the position of Archbishop of El Salvador and was increasingly drawn to give voice to the plight of the poor. In so doing, he exposed himself to increasing risk from the violent elements in that society. On March 24, 1980, he was assassinated while raising the chalice during a celebration of the Eucharist. This was one day after he called upon the members of the El Salvadoran armed forces to disobey orders to murder civilians. Archbishop Oscar Romero promised history that life, not death, would have the last word. “I do not believe in death without resurrection,” he said. “If they kill me, I will be resurrected in the Salvadoran people.” Each year, on the anniversary of his death, people march through the streets carrying that promise printed on thousands of banners. Mothers will make pupusas (thick tortillas with beans) at 5 a.m., pack them, and prepare the children for a two-to-four hour ride or walk to the city to remember the gentle man they called Monseñor. A 1989 film called simply Romero, starring Raoul Julia is available in its entirety on Youtube. It’s about 100 minutes long, and features some violence that is not appropriate for young children. I would encourage adults and teens to view it and be encouraged by the courage of our brother Oscar. You can watch it on Youtube (http://www.youtube.com/watch?v=6hAdhmosepI). From a letter sent in 1980 to US President Jimmy Carter “Because you are a Christian and because you have shown that you want to defend human rights, I venture to set forth for you my pastoral point of view in regard to this news and to make a specific request of you… I am very concerned by the news that the government of the United States is planning to further El Salvador’s arms race by sending military equipment and advisors to ‘train three Salvadoran battallions in logistics, communications, and intelligence.’ If this information from the papers is correct, instead of favoring greater justice and peace in El Salvador, your government’s contribution will undoubtedly sharpen the injustice and the repression inflicted on the organized people, whose struggle has often been for respect for their most basic human rights. . . .
 Christ the King Sunday sermon, 1979. This prayer was composed by Bishop Ken Untener of Saginaw, drafted for a homily by Card. John Dearden in Nov. 1979 for a celebration of departed priests. As a reflection on the anniversary of the martyrdom of Bishop Romero, Bishop Untener included in a reflection book a passage titled “The mystery of the Romero Prayer.” The mystery is that the words of the prayer are attributed to Oscar Romero, but they were never spoken by him.